Mikhail joined OSG in 2004 as Sales Director of OSG Kazakhstan. He was soon promoted to become General Director of OSG Kazakhstan. During his career with OSG, which spans more than 10 year, Mikhail has driven great success in sales, productivity and profitability. He has evolved customer service to the highest level and been integral to international expansion of the brand. Prior to OSG, Mikhail worked at DHL as a Sales Executive. 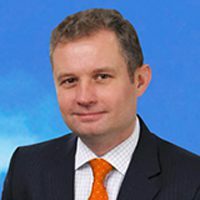 Mikhail graduated from Almaty State University with honours (Masters Degree), and has an Executive MBA from the Manchester Business School, UK.